Children’s Garden began in 1972 as a parent co-operative preschool. Bobbie Hobbs, Judy Ward, Jane Jacobs, Patti Egloff, and Ronnie Hegel, worked together to provide a stimulating and nurturing environment for their own children. Excited by the progress they observed in their children, they then expanded their program to accept other children and opened a Montessori preschool at 444 Detroit Street in 1974. 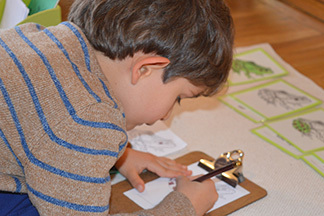 Children’s Garden has grown to provide a Montessori program for over 90 children ranging in age from 18 months to 6 years. 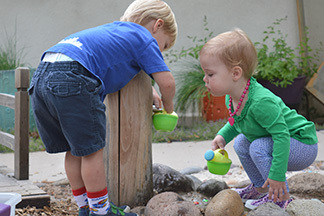 The Cherry Creek neighborhood has changed around Children’s Garden, and we continue to provide an oasis of child-centered calm activity within our increasingly urban surroundings. 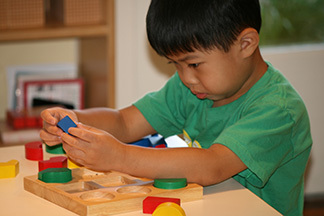 The school is a non-profit, board governed school affiliated with the American Montessori Society.